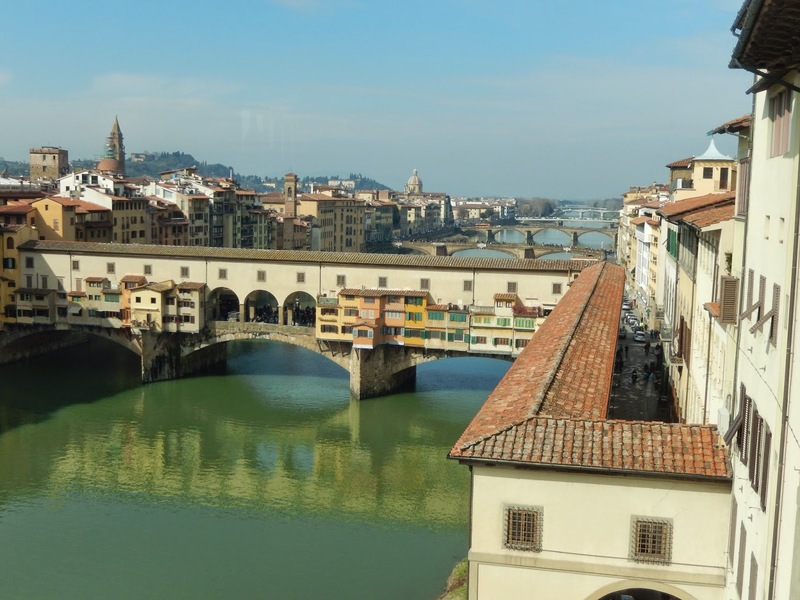 When I discovered the school was organizing a trip to Florence, I signed up to supervise, but, alas, I was not one of the staff selected to go. Of course, I know I cannot go on every trip. But then, luck was on my side. On the same weekend, there was a ski trip (which I did not sign up for). As it worked out, so many students opted for one trip or the other, there was no point in having classes on Friday. I found myself with an unexpected long weekend. 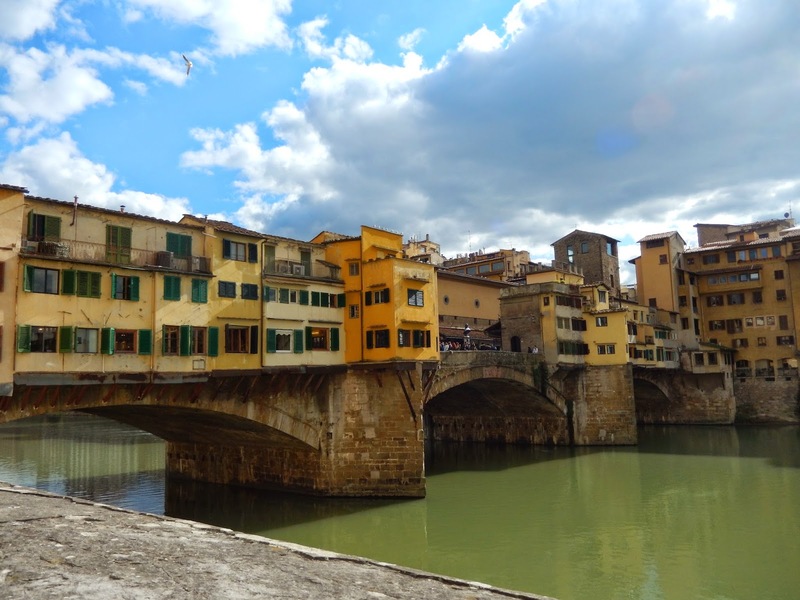 Our hotel was just on the other side of the Ponte Vecchio. So 24 hours after the 30+ students and staff had left for Florence, I began my journey to a city I had not visited since the late seventies. It took me seven hours and four trains to get there but I am very glad I went. What a fabulous place! Strawberry gelato to celebrate my arrival in Italy. Shortly after my arrival on Friday afternoon, I headed out to explore with Louise, Jen and Dan. My first purchase: gelato, of course. 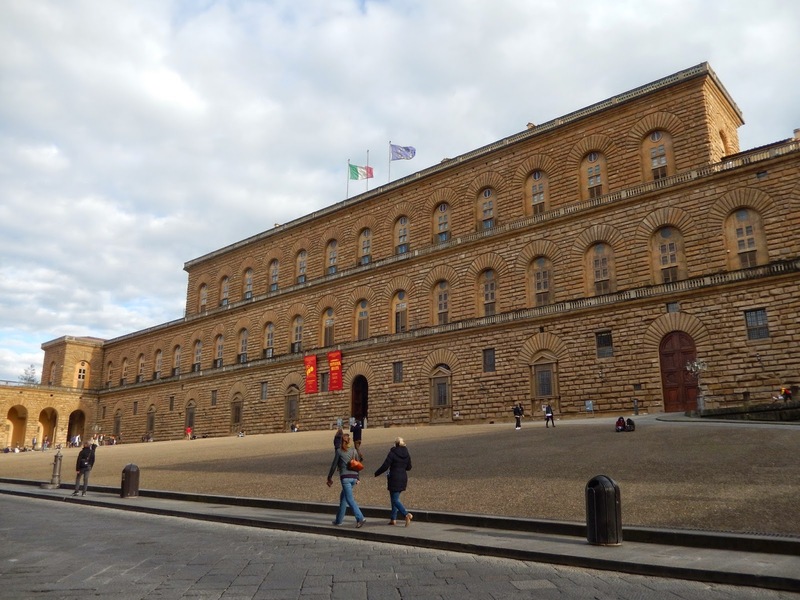 We passed the Palazzo Pitti as we searched for treasures in local shops. Later, Jen and I separated from the others in order to find the leather market. Florence wears its renaissance glory proudly, and it was particularly lovely in the Friday sunshine. 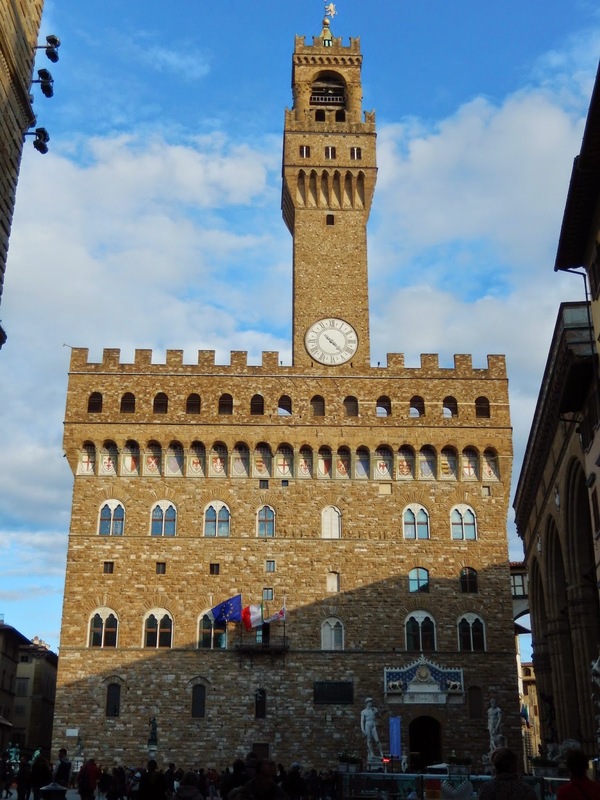 Spectacularly beautiful are the Palazzo Vecchio and the Duomo, Florence's massive cathedral. Eventually, with the help of some locals and several of our students (whom we encountered during our walk), Jen and I found the leather market in the San Lorenzo area. I was keen to try on some leather jackets, having heard that this was the place to buy them - as long as I was willing to barter. I found one I liked but I decided to wait before purchasing, in case I found a better deal somewhere else. 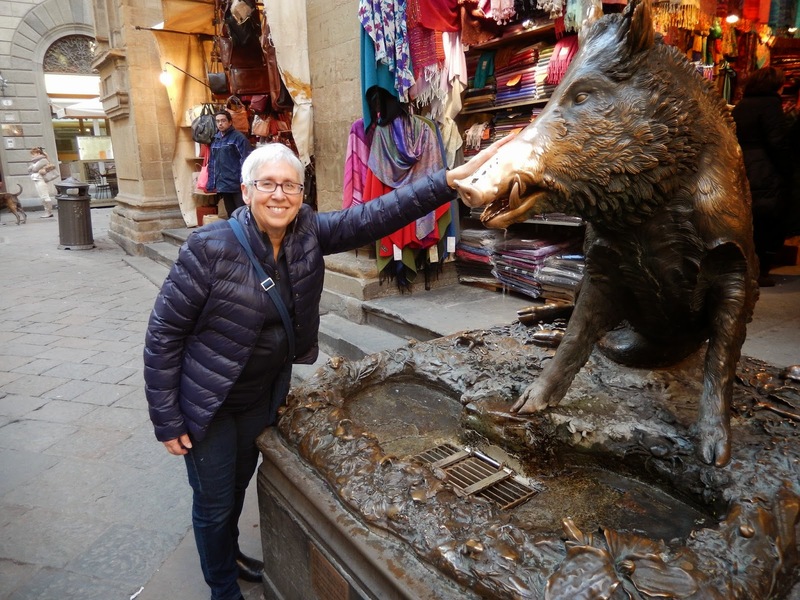 I rubbed the head of the boar for good luck at this market - the Boar Market, but I shopped elsewhere. That evening, the four staff had a delicious dinner at Trattoria I Quattro Leoni before retiring for the night. As a free agent, I was not on duty in the evening, so had no worries about the students that night or the next. 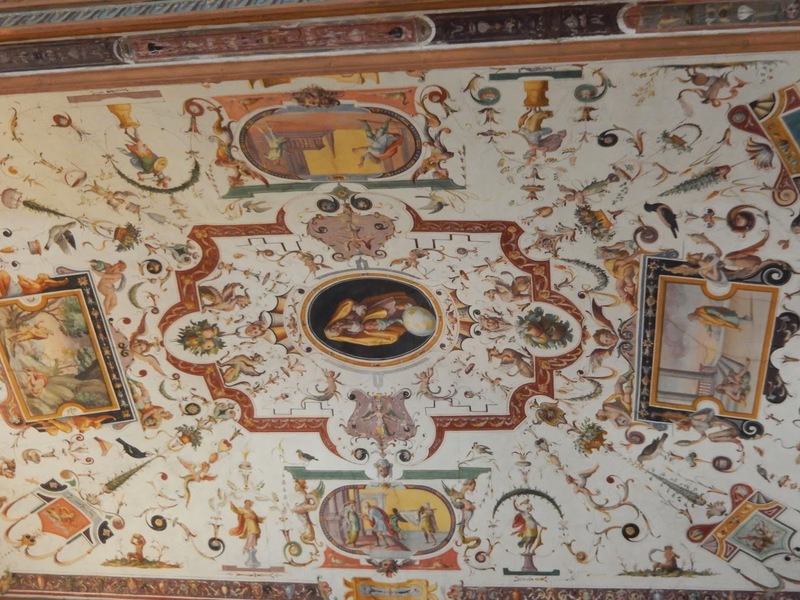 A view of the ceiling at the Uffizi Gallery. The next day, my only full one in the city, began with a guided tour of some of the great art collections of the city. 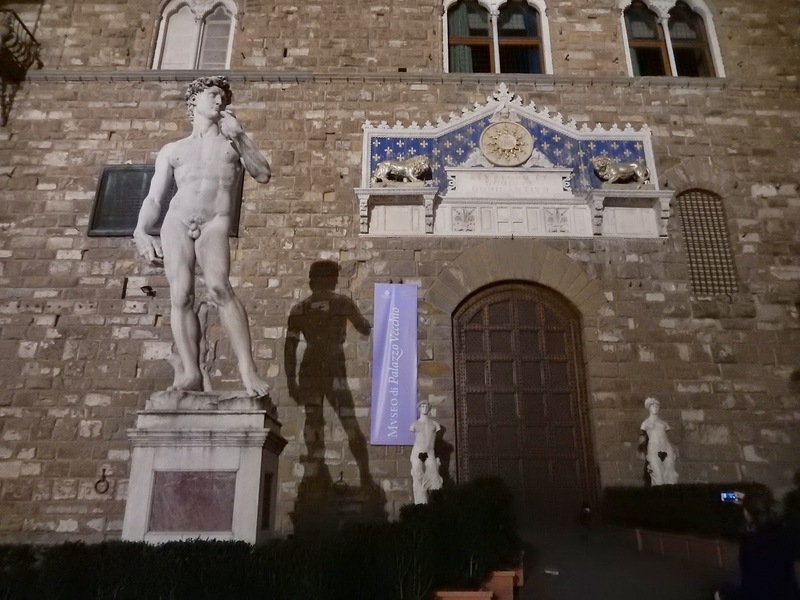 We first went to the Uffizi Gallery, once home to the powerful Medici family. The building itself is very beautiful and grand, but the art collection is even more so. 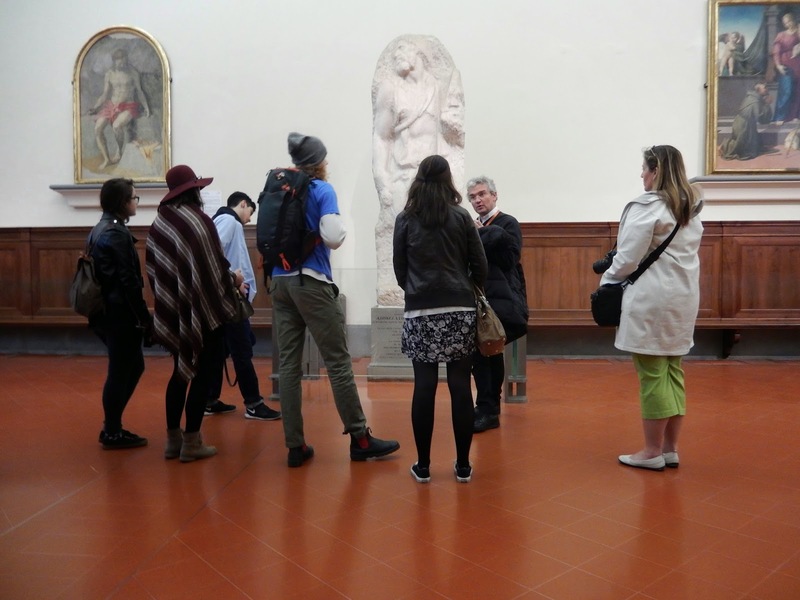 We saw original works by Boticelli, Michaelangelo, Carravaggio, Tintoretto, Raphael and many others; our guide, Elvio, was wonderful at explaining the unique features of each major work, so that the genius of the Italian masters could be fully comprehended. 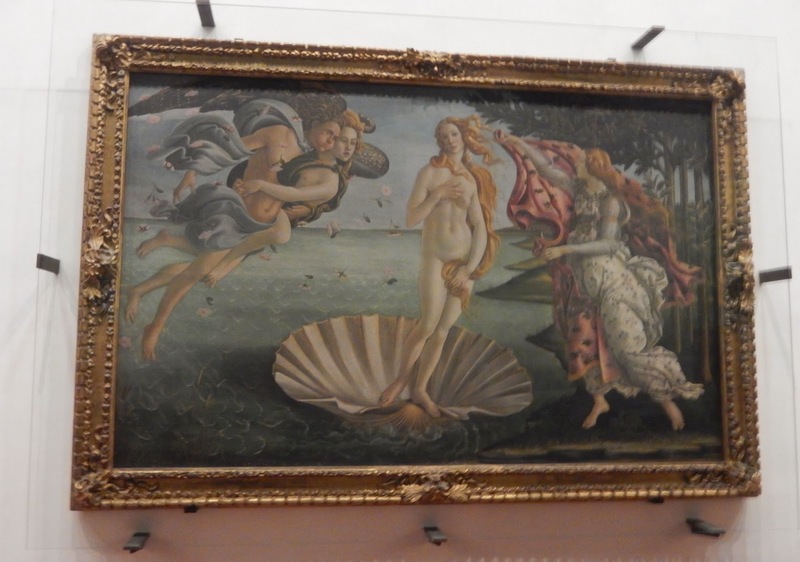 Boticelli's The Birth of Venus was behind glass, as were most of the more famous pieces. 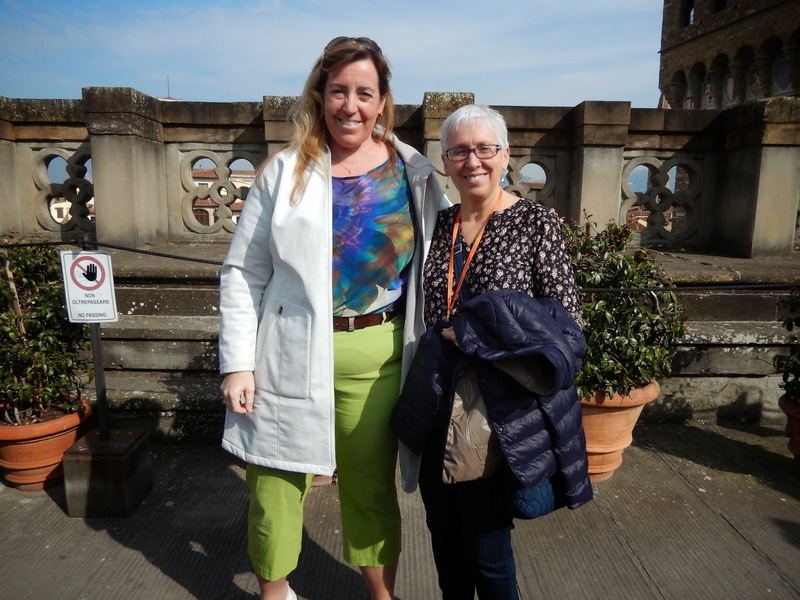 Jen and I on the rooftop patio of the Uffizi Galery. 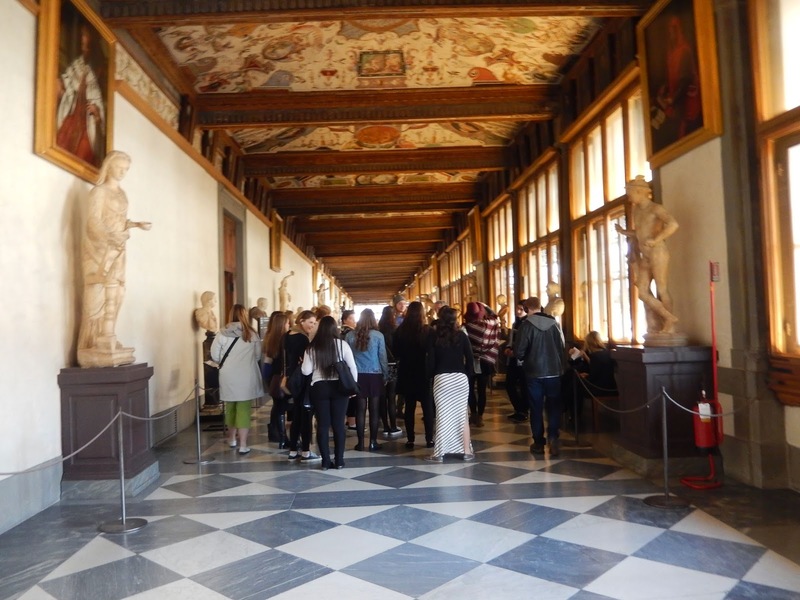 A fifteen minute walk took us to the Academia Gallery, famous for its collection of Michaelangelo's sculptures. Of course, we all wanted to see David and he does not disappoint! What a masterpiece! Elvio added a great deal to our grasp of the work, as he encouraged us to view it from every angle and to consider such things as weight distribution and balance. An amazing piece of work - breathtaking really. 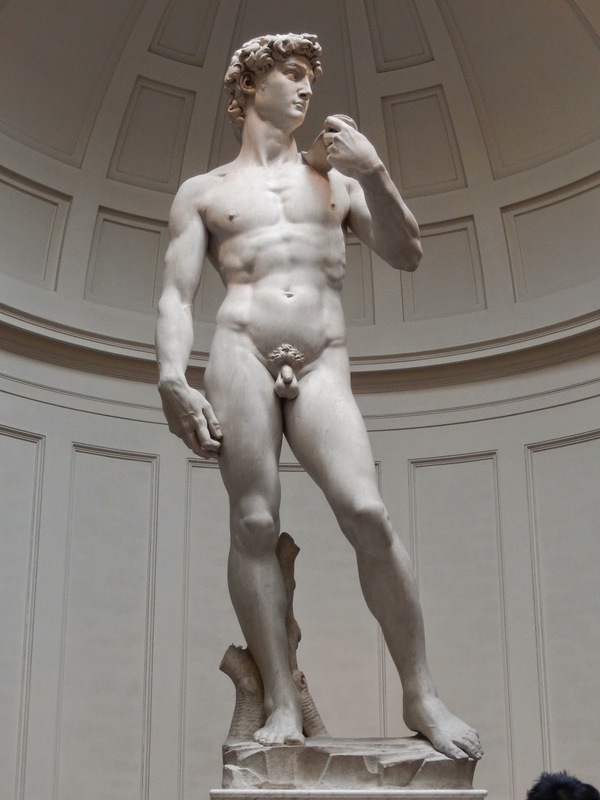 Elvio explains how Michaelangelo worked to release his sculptures from the marble. After over three hours looking at art, we were all ready to spend some time outdoors. Florence on this Saturday was warm and sunny with temperatures in the mid-teens. We could not believe our luck that we were able to eat lunch on a patio in late February. We enjoyed our outdoor lunch. 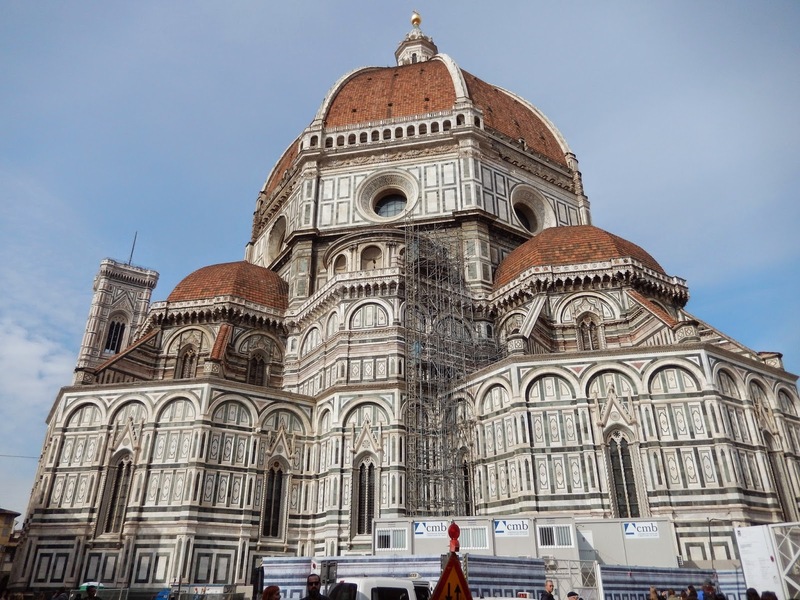 I had good intentions that afternoon of visiting the Duomo and other sites which the group had explored before my arrival but the double enticements of the leather market and the weather overcame me and the afternoon slipped by without any more cultural explorations. I did manage to support the local economy, however, with the purchase of a leather jacket and a purse. We were all in the mood to buy on this day. Dinner Saturday evening was at the Yellow Bar where Elvio, our guide that morning, happens to be the Maitre D'. 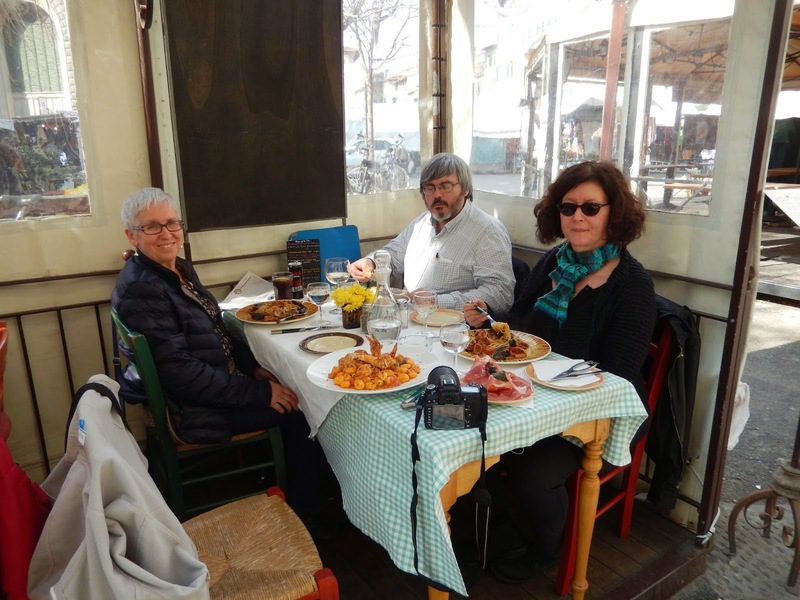 We enjoyed typical Italian fare there and were given special treatment by the owner. That evening, I was less inclined to have an early night. 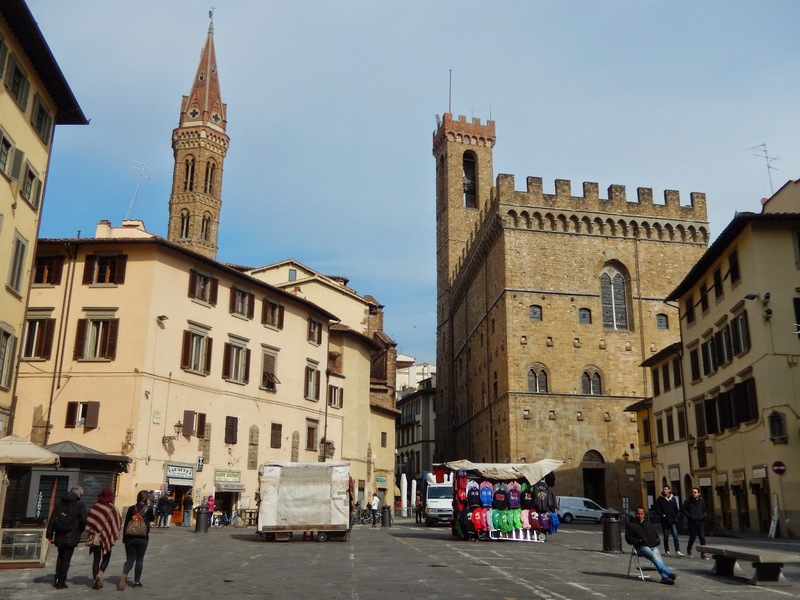 I wanted to explore Florence some more and to enjoy its unique character. 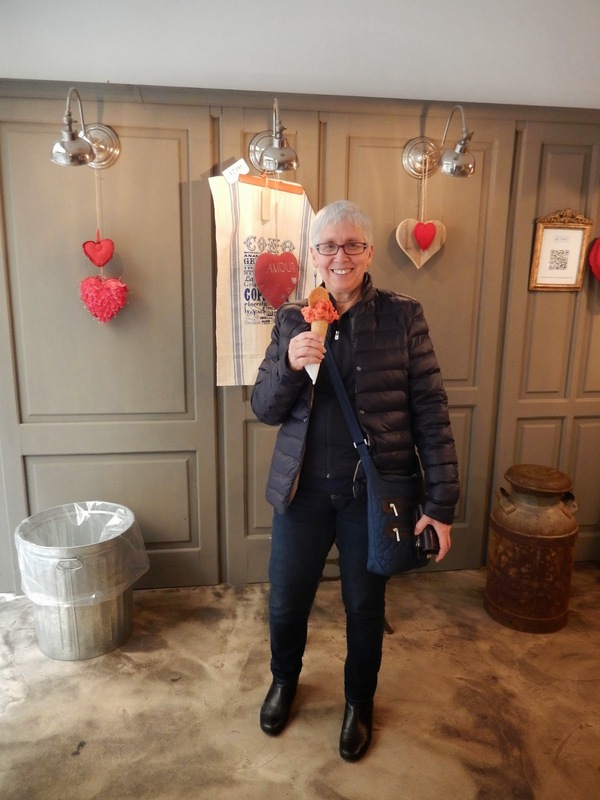 As Louise says, it is a city that makes you feel alive, so we took our time strolling through its streets before stopping at a jazz club for a nightcap. Early on my final morning there, I went out on my own to absorb more of Florence's beauty. I loved the quiet of the dawn, and although I still did not go into the Duomo (it was closed to tourists), I vowed I would return soon. 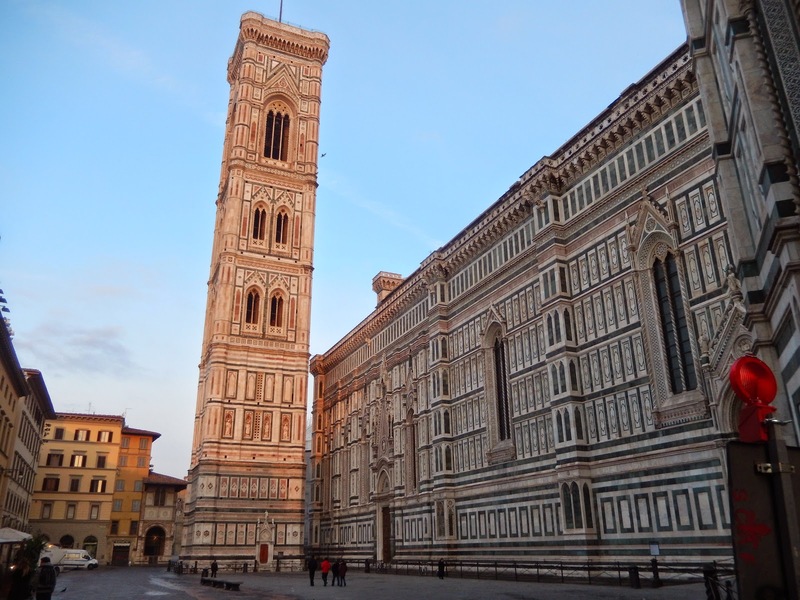 The Duomo and Giotto's Bell Tower in the early morning light. 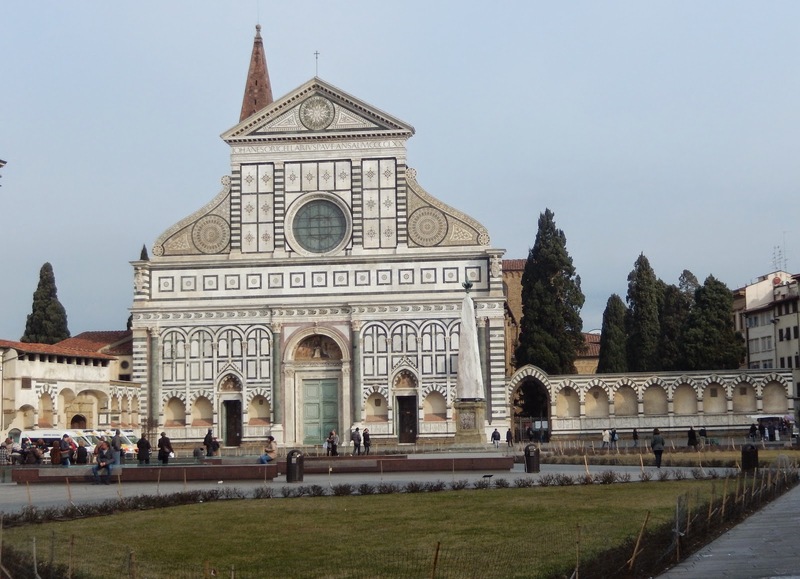 The Basilica of Santa Maria Novella near the train station. By 10:00 a.m., students and staff were at the train station for our return journey to Neuchâtel. 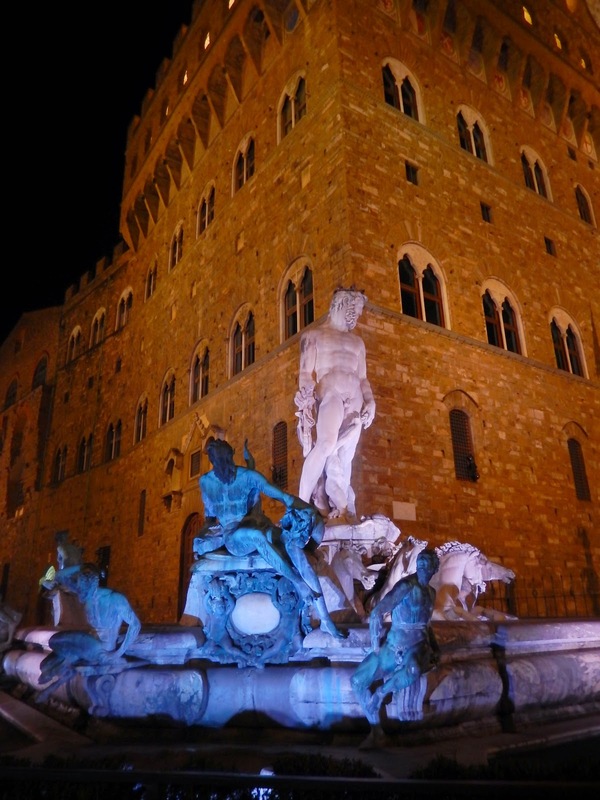 Many students commented that Florence was among their favourite destinations this year.